4 X 14 Wood Floor Register - Unfinished Oak Discounts Apply ! These air vents feature the sliding jiffy style damper that is completely adjustable. Unfinished wood floor registers arrive ready to stain and finish. 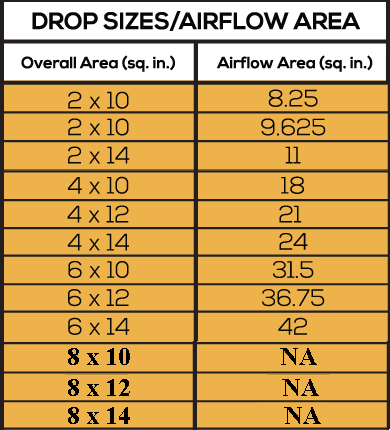 4 x 14 air vents are one step drop-in installation. Unfinished wood floor registers are crafted with a solid red oak faceplate that can be stained to match existing floors and trim. These air vents are quality made and have a 1/2 inch thick faceplate. Unfinished wood floor registers are a great way to customize the look of your grilles at a great value. ***Hint: When ordering air vents use the actual floor register hole size and not the faceplate of the old register cover. 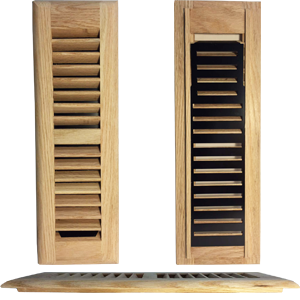 Wood air vents are offered in many sizes and can even be purchased as a flush mount register with a variety of wood choices. Unfinished wood floor registers give you the option to put your own style on them by finishing them to suit your needs. Order yours today.